Home / DIY/Crafts / Sew Long Summer Blog Tour! 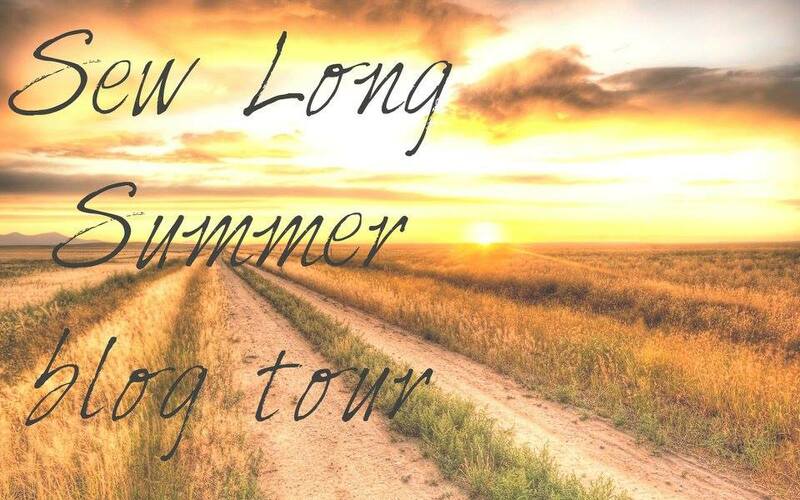 Sew Long Summer Blog Tour! It was so refreshing to make something that was in beautiful rich colors for fall. Here in Southern California we rarely wear sleeves and jackets so a sleeve to the elbow should be just perfect. With purple being my favorite color this was an easy pick for me. The pattern is the Buttercup Top/Dress from Rad Patterns and I loved it the first time I saw it! The sewing was pretty easy and I made it using both my serger and sewing machine. I loved these big flowers in this print and was so excited to be able to get some of this beautiful double brushed poly from Sly Fox Fabrics. It is so very soft and just flows so nicely. If you are looking for a wonderful dress for fall or even a top this pattern would be great! I loved sewing it and I have many planned in the future. Don’t let the buttons scare you, the instructions are amazingly simple and very detailed. You can also do it with a non functioning placket as well. Take a few minutes and check out the other blogs and all of the sewing adventures they had this fall. Are you ready to sew for fall? Do you have anything that you are doing that is new? I would love to see your sewing creations drop me a note in the comments! Previous post: Palmer Candy Back To School Giveaway! So hard to leave comments on your articles because most of them show squashed boxes. Any suggestions? It’s also impossible to read other comments for me. Love the dress and wish I could sew. I’m terrible at it. What a great looking dress. The match with both looks beautiful and the 3/4 sleeves are just perfect for Autumn.